the I <3 SL Fashion event on the Cyn City sim. participating all for 50L...hurry over! Also, visit CnS e-motion @ Cyn City mall to hit the Subscribo to get the free poses, too! 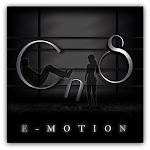 We know we have a lot of CnS e-Motion addicts and we appreciate your support it means a lot to us! The thing is we never get to see your work! Let us be fans and check out your flickr streams by joining our CnS e-motion Flickr group! Enjoy your weekend and time behind the lens!